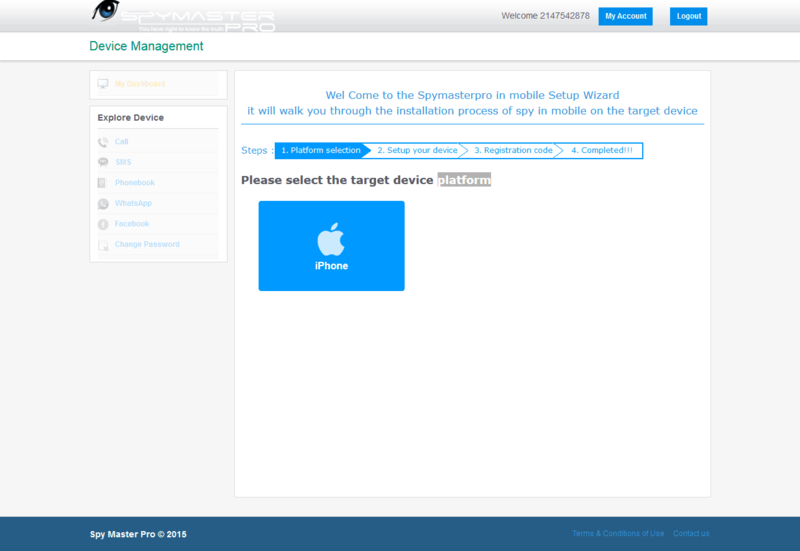 Welcome to “Spymaster Pro for iPhone” guide page. Spymaster Pro has brought in very convenient process for iPhone monitoring. No installation, no jailbreak is required. Follow simple procedure. When you buy a software, you are given a link to enter into website and your username and password. Step 2: After this, Setup the device. 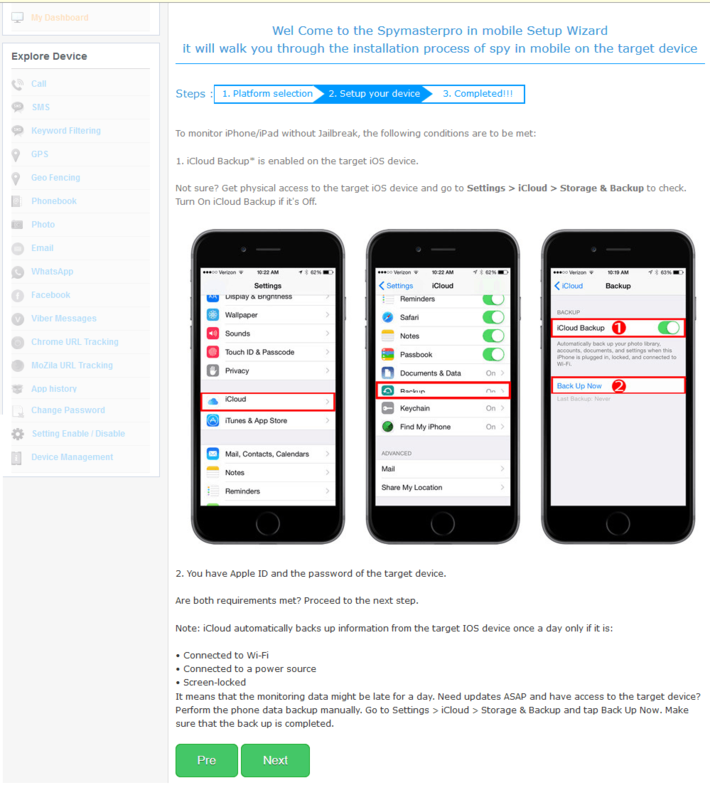 For this, Check whether iCloud backup of target iPhone is enabled(ON). If yes, click on the “Next” button. If no, then you need to access the target iPhone and enable the backup. Then hit the “Next” button. You will be carried to iCloud account page. (Note: iCloud backup enabling is mandatory). Step3: Sign in with the iCloud credentials of target iPhone, that is, its username and password. 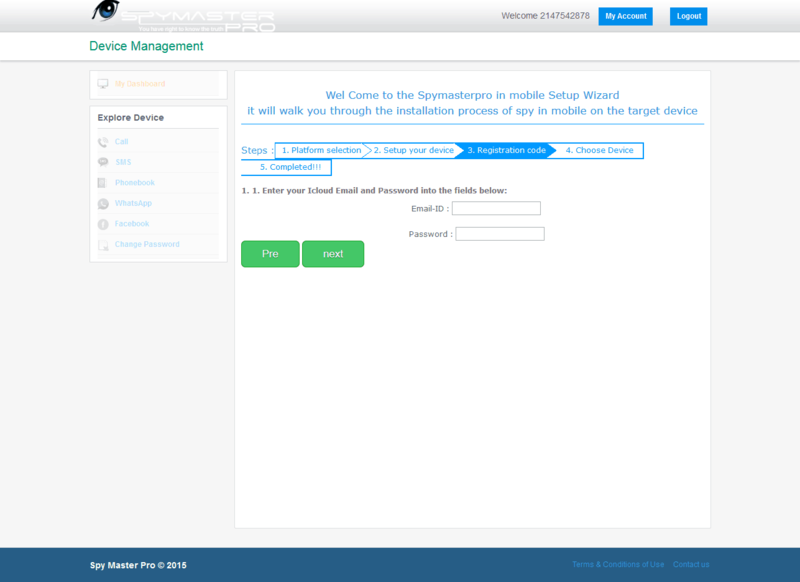 After completion of step 3, you will start receiving the target iPhone information shortly in your dashboard. For more information, kindly contact us via support@spymasterpro.com.